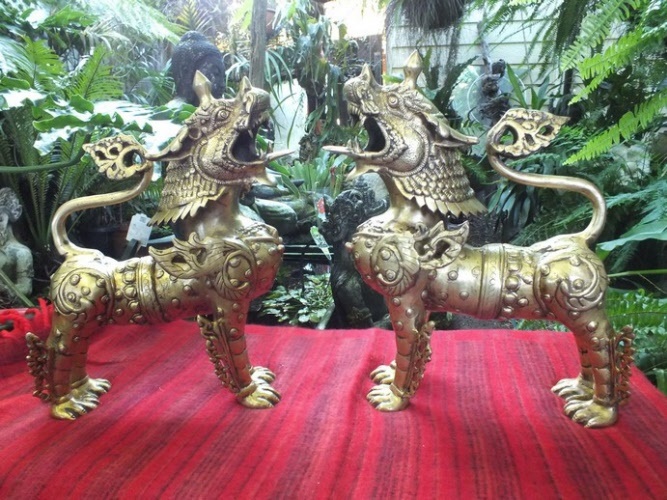 This pair of highly stylized protective lion - dogs cast in brass representing lions is the Tibetan interpretation of this great animal’s might, grace,and overall mythicism. 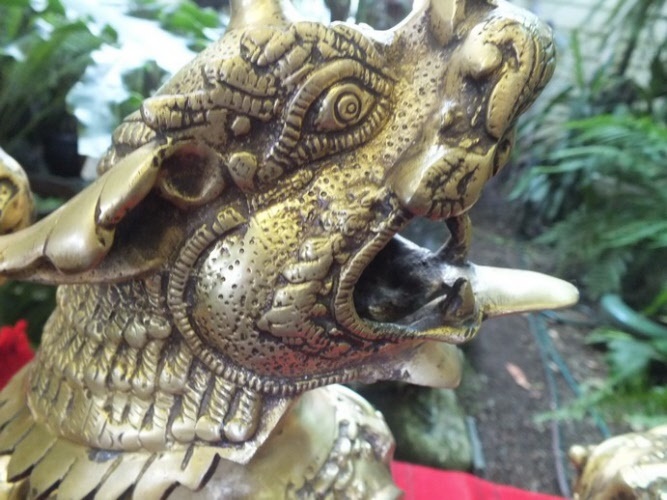 These statues do not represent the animal as it is seen with a common man’s eye but seek to manifest aspects, some of them being abstract, and some other, mythical, which define it's essential being and elevate it to the height where it acquires parity with celestial beings and enters the world of myths giving it competence to associate with gods and high monarchs. A stunning pair of Nepalese Temple Dogs, made by craftsmen and women with great care and respect. 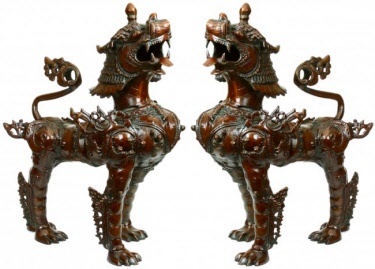 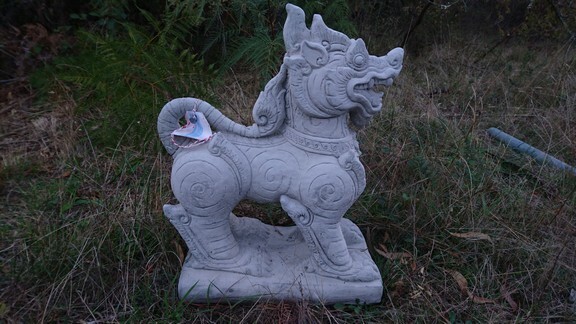 Foo Dogs are an extremely powerful protection for your home or business, you will find most homes or business in Asia complimented by a pair inside or outside . Out of all the cures and enhancers in Feng Shui Foo Dogs are the most essential. 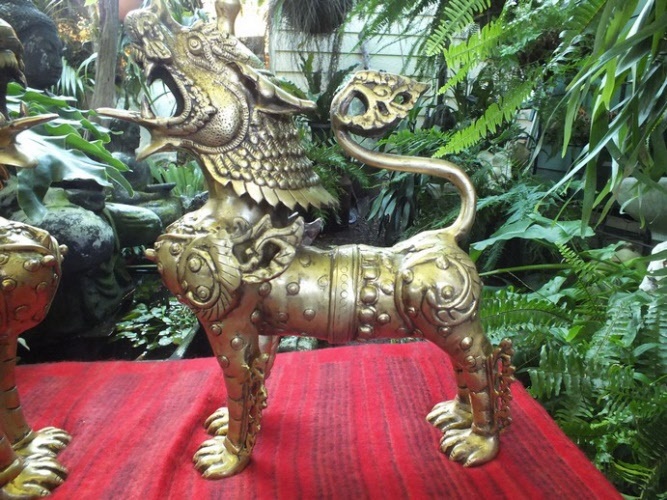 They are also knows as Temple Dogs, Guardian Lions or Lion Dogs. 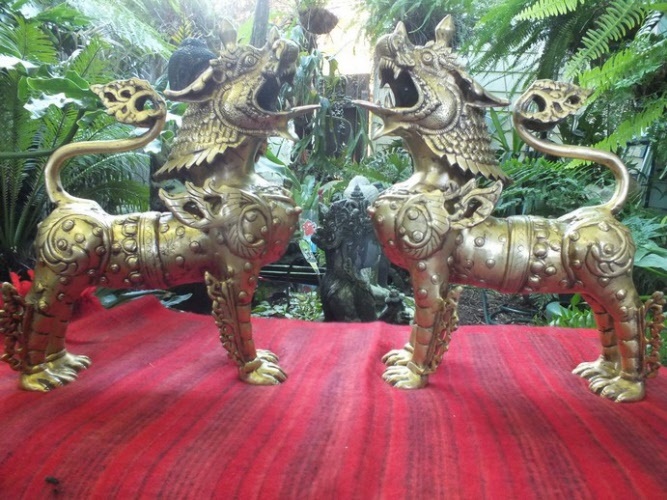 These are beautifully made pair of Lion dogs / Foo Dogs or in Thailand called Singaha. Have them at your driveway entrance to ward off bad people or evil spirits. 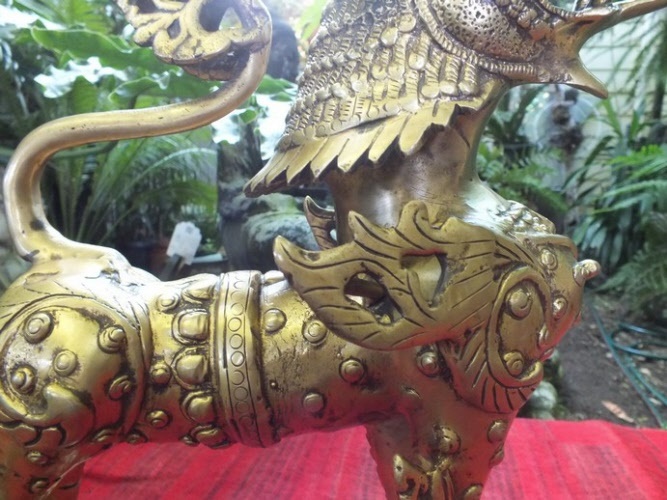 They are used in many properties in Thailand and worldwide to protect property and the inhabitants who live there. 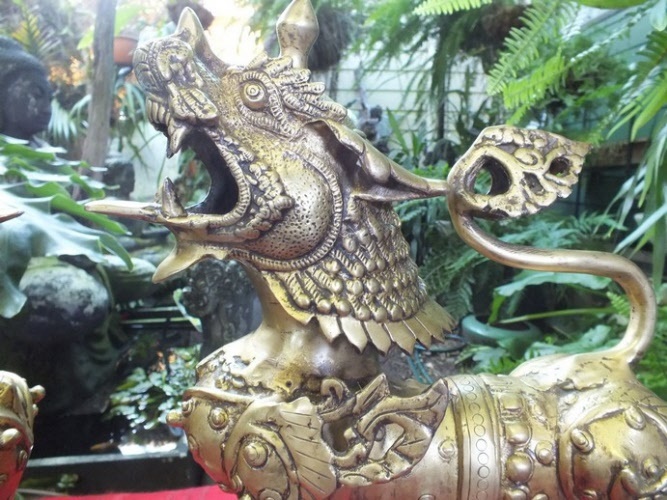 They come with a sealed certificate as needed by the Thai Government to guarantee their authenticity.